Do you love a good underdog story? If so, I have a treat for you today. Jason Carini is the county treasurer in Rogers County, Oklahoma . He is joining me on the podcast to talk about how he overcame a twenty-four year incumbent in a local election and is able to help clean up his county government as a result. Jason has a great story to tell and plenty of practical advice to give about how to run for local political office and win a local election. If you want to see some real change happen in your community, join us today to get some great tips on how to make that happen. 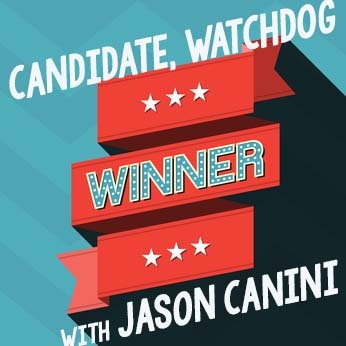 Jason’s strategies will work whether you want to run for local political office or be a watchdog and activist in your community. Change starts with you! So listen in today as we find out the best ways to make change possible. This entry was posted in Podcasts and tagged local political election, running for local office, watchdog. Bookmark the permalink.